New food information regulations came into force in November 2011 and had to be complied with from 13 December 2014. From 13 December 2016, it became mandatory to provide nutrition information on the back of pack for the majority of pre-packed foods, whereas previously, nutrition information was provided on a voluntary basis unless a nutrition claim was made. The mandatory declaration requires energy (both in kJ and kcals) and the amounts of fat, saturates, carbohydrates, sugars, protein and salt. Nutrition information has to be given per 100g/ml and can additionally be given per portion. 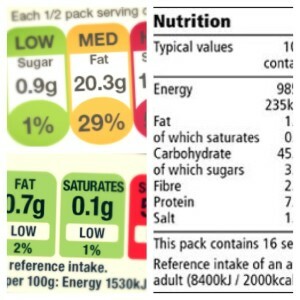 The regulation also allows elements of the mandatory nutrition declaration to be repeated on the ‘front of pack’ and research has shown that over 60% of consumers look at front of pack labels1. 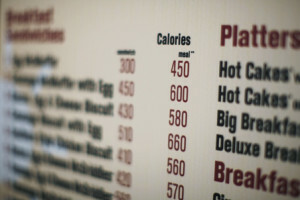 Nutritional information is increasingly being used on menus and menu boards, shelf-edge tickets and to accompany recipes in magazines, websites, cookery books and beyond. If more people are to eat healthier diets, they need to be able to make informed choices when planning meals or at point of choice, whether it’s for a special occasion or a mid-week supper.